This thread is intended for people who has installed HIDXTRA HID kits. 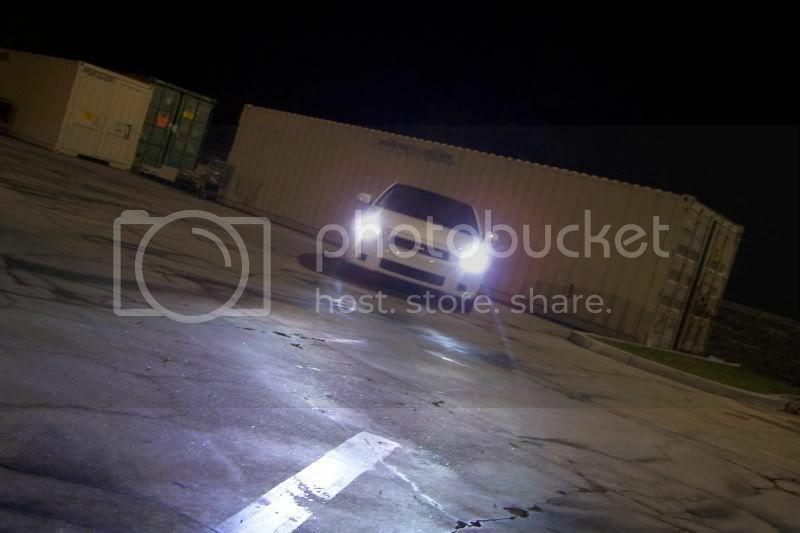 NEW and CURRENT customers have a chance to win a FREE HID kit by joining FACEBOOK GROUP: hidextra.com ! 8.) Winners have 2 weeks to claim prize, otherwise another winner will be drawn to claim the prize. 9.) Additional information will be added if there is any. Last edited by HIDXTRA; 10-30-2009 at 07:24 PM. Hey everyone i recently purchased the HIDXTRA HID conversion kit. For starters lets talk about the service of this company. I placed my order around 11:00p.m. and i had a response almost immediately. This could be pure coincidence but none the less the next day i received an email saying that they would mail it out immediately. I received my package 2 days later and was very satisfied with the packaging. Nice, clean, everything in tact. The kit itself is pretty nice as well. For only $60 bucks this is a kit that will not come along from most sites which generally run from 80-100 for a conversion kit. Installation was a breeze which was the same as any HID kits which are plug and play. The fitments for the sockets were very precise as well and worked perfectly. I ordered a h3 3000k HID bulb and the color of it was identical as advertised. I will post up picks soon but as for quality, they are great and it even comes with a 2 year warranty on these babies. If you are on a budget and looking for a high quality HID kit this is the one you should buy. just installed my hids tonight. really easy to install and comes with everything you need. i dont have any pictures due to no camera only cell phone pictures which dont show the true color. i ordered the 6000k and they are really white almost no tint of blue. its plug and play really, anyone can do this. service is great. got a response to my email and even pm almost immediately. after i placed my order i was told theyll ship it the next day. shipping is with ups which shows the tracking number. i received a couple days later. some hid kits run around 100 and this one only cost 60 shipped plus 2 year warrenty. lights look good and service is great. i recommend these to anyone looking for hids. Just want to say that these are awesome! I got the 8000k kit and am very happy! They look awesome and make it clear as day when driving at night. 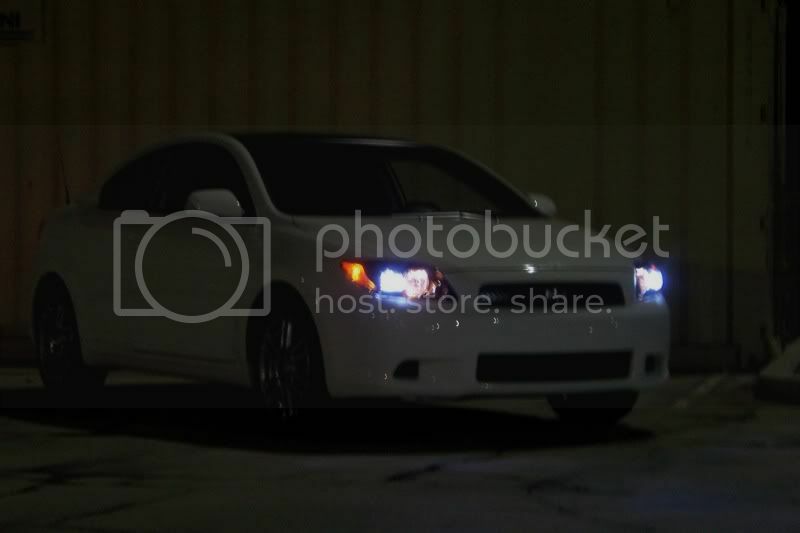 I definitely will be getting the 3000k for my fog lights once I get them in. The install was easy, and I am little dumb and had to go back and make sure that the red and black wires were in the right place.....Everything else from the customer service to the shipping was awesome. Already easily have another 5 orders coming up for this seller! Do you guys know what the difference is between $100+ HID kits and this one? The price since the parts are the same. In other words, think twice before buying those $100+ kits from resellers taking your hard-earned money. Ok.... I'm not saying anything about the quality of this brand, but my keen marketing senses say this thread is set up... Just ripe with "need -> feature" relations and "problem -> solution" phrasing. Raise your hand if you feel dirty for pre-arranging your post or taking $ for kind words. Ordered my set on Thurs, received on saturday. To give you an idea of how big the ballast is. I haven't decided if these mounting locations are temporary or permanent. I suppose i'll eventually get metal brackets for them. Overall, it was a really good deal, and a really easy install. I had to flip the oem harness around, i had it in backwards, but other than that no problems. the only thing that would've made this deal even better would be the inclusion of mounting brackets instead of adhesive pads. For $60 though, you can't really complain. Also, i'm not one of the buy one get one promo, i just thought i'd share with some detailed pics. @b_wet - Do you have any night pics yet? Just got mine in today ... install was cake didnt take but 20 minutes at most ..
SirPhobos1, did you happen to make it out to get some shots of the finished product?? I'm really stuck between the 6000k and 8000k kit, and was hoping to see some night shots of the kit installed and go from there! b-wet: Maybe if you had some night shots too, would be cool, but no pressure obviously! Seems like a great price, have any night shots from a far? I'll get some right now and later on when it's dark. I completely forgot! Anyone have any pics of the 10000K? I want to see what those look like.